Happy relationship quote: All that matters is that we make each other happy. All that matters is that we make each other happy. In the end, when it comes to being together with someone – this is truly all that matters. That the two of you make each other happy. That you feel happy in your relationship. It’s truly the single most important thing in a relationship. If you like this quote about being happy together, then make sure you make someone smile by sharing this with him or her! 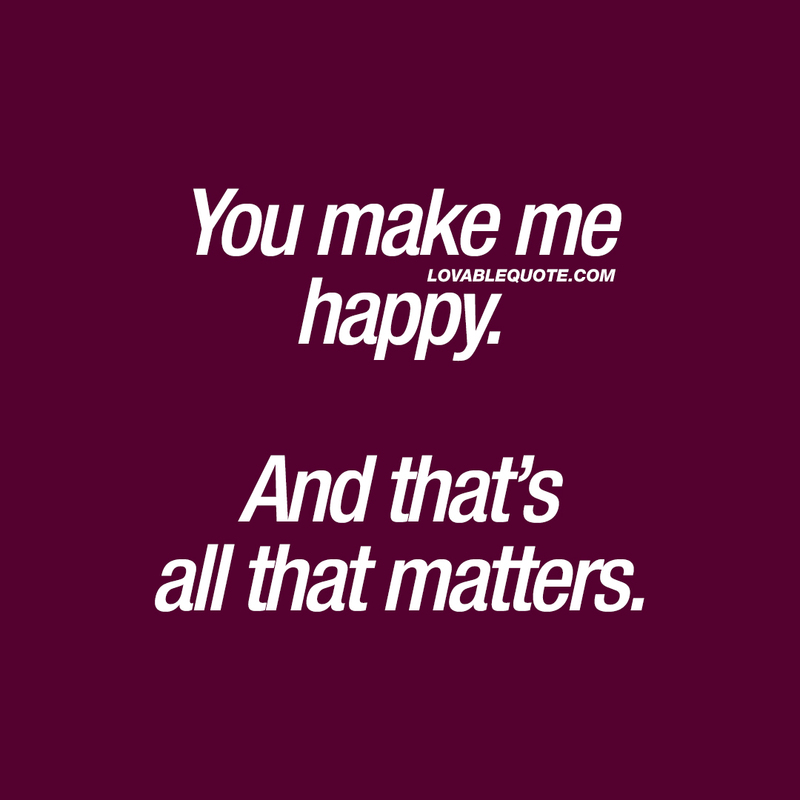 This “All that matters is that we make each other happy” quote (text and image) is copyright © Lovable Quote 2018.